SNOQUALMIE, Wash. (KCPQ) -- People in the Snoqualmie Ridge area have been running into more coyotes this past week. On Thursday, father Douglas Lucas says his three-year-old daughter was attacked by a coyote who came up to the front porch of their home and pounced on the child. 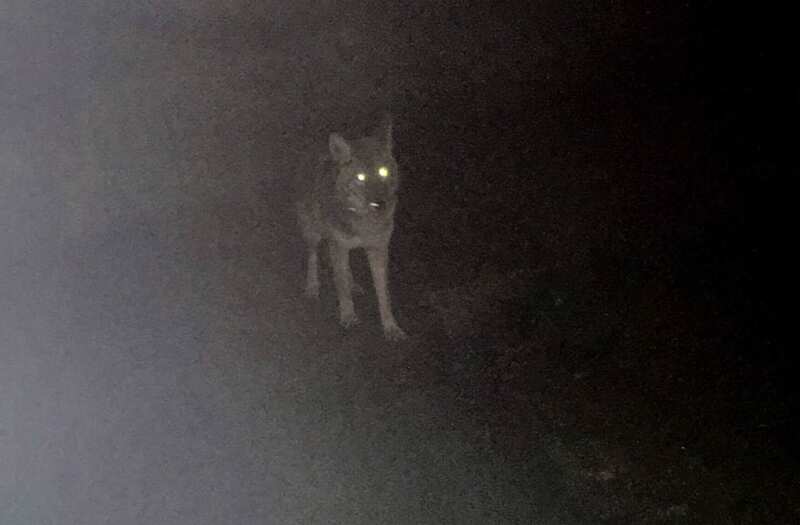 The city of Snoqualmie says within the past 24 hours they’ve had seven reports of coyote sightings. A father in Washington state says he was hanging Christmas lights when his 3-year-old daughter was attacked by a coyote outside their home. The little girl was outside with her father on the front porch of their home near Swenson Park. Her father was up on the ladder hanging Christmas lights when the coyote came up to their home. “Six or 5:30,” remembers Lucas who says it was right after dark that the coyote approached. “Coyote was walking in the street,” said Lucas. He says within seconds the coyote pounced on Sophia making her fall from the impact. “The coyote came from behind, knocked Sophia, she landed on her mouth, Douglas chases him off, ripped through her jacket and scratched her,” said grandmother Susan Chavez. The scratches are still visible on the child’s arm. Her favorite purple winter coat, shredded by the coyote might have saved her from a more severe injury. The city of Snoqualmie says they’ve been hearing about coyote sighting a lot lately.